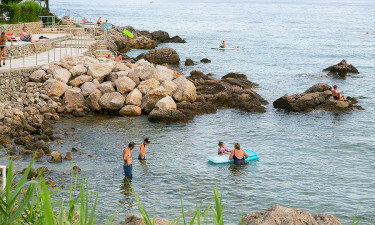 Situated on the stunning island of Krk in Croatia, Camping Krk is a leading LUX-camp that nature lovers are sure to enjoy. This is the perfect place to simply unwind in style and soak up the sun and the intense natural beauty of the area, while those who prefer to be active while they are away will soon discover that this luxury camping site is packed with activities and amenities to make sure that there will never be a dull moment. Why choose a camping holiday at Camping Krk? However, the main highlight here is the long stretch of beautiful, sandy beach that is lapped by clear waters. There is also a naturist beach located close to the campsite for those who truly want to embrace nature and feel free while they work on achieving a flawless tan. The holiday camp is situated on the edge of large and lovely woods, and there are several well-worn trails for visitors to follow that lead through the woods, as well as along the coast. In addition to finding plenty of places to pause to take in the scenery, visitors will have the chance to spot a wide range of different types of wildlife including marten, roe buck, wild cats and the griffon vulture. People who like engaging in various different sports are sure to find that this is the perfect place to stay. 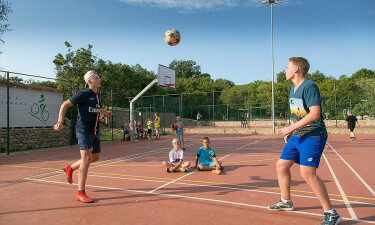 Among the onsite sports that are offered are tennis, basketball and volleyball, while special tai chi, aqua aerobics and yoga classes are regularly offered. There are plenty of sports available for the little ones to enjoy at the 3 children’s clubs, as well as art and crafts lessons and much more. 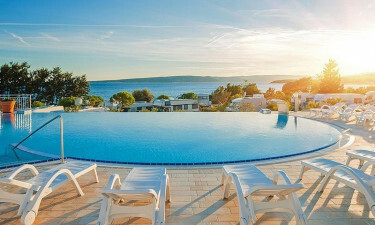 There is also a water park for the children to splash around in while their parents soak up the sun on the surrounding sun loungers or sit and sip cool cocktails. The Politin Bistro is set on a stunning terrace and provides diners with stunning ocean and pool views as they sample a range of tasty, freshly prepared dishes. Mouth-watering pizzas are created in the wood-fired oven, while lovers of freshly caught seafood dishes are sure to be satisfied by the range available here. Light bites and cocktails are also served at the Politin Beach Bar - this is the perfect place to unwind for a while. 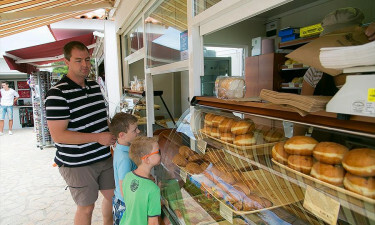 The campsite is equipped with a large central square that is surrounded by a large selection of shops, including a bakery, souvenir shops and a grocery. 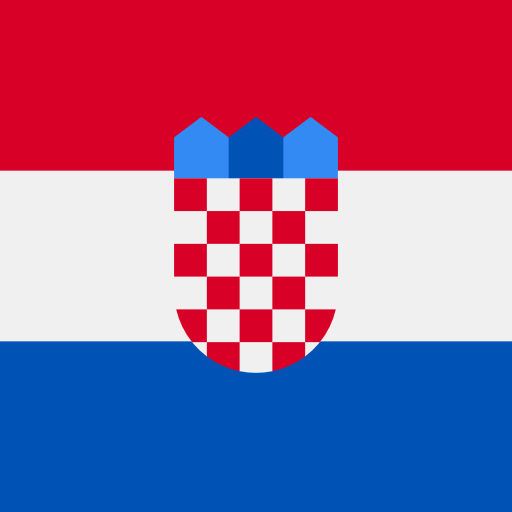 People who want to shop for Croatian groceries so that they can make their own meals in their mobile home to take to the beach or enjoy when they are hiking are sure to be impressed by the range that is available.